for Saturday, 14th July 2018 from 1300Z to 1700Z. 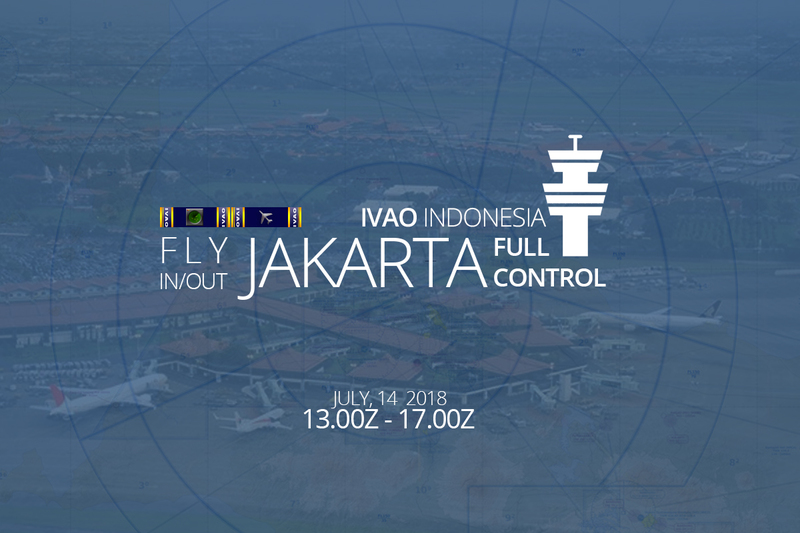 Come and join us in our event, We invite you to control in the Indonesia virtual territory during part of the night on Saturday, July 14, 2018 part of this event being ATC or Flying as a pilot. NOTE: The ATC allowed is WIII DEL-APP, WIHH TWR, WIRR TWR, WICC TWR-APP, WIIF C or below, WAAF C or below. Award for PILOT & ATC Events will grant after reaching 10 point accumulate. 1 ATC EVENTS POINTS FOR 2 HOURS OF CONTROL.